Der BT-SV ist ein sowjetischer premium leichter Panzer der Stufe 3. Im Jahre 1937 in der Panzerfahrzeug-Reparaturbasis Nr. 12 (Kharkov-Kommando) entwickelt. Der BT-SV nutzte Teile und Komponenten des BT-7. Die Wanne bestand aus 10- bis 12-mm-Strukturstahlplatten, die eine geschrägte Panzerung formten. 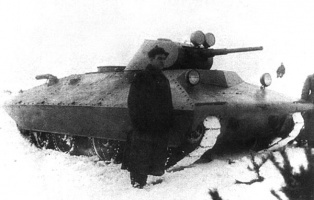 Das Serienfahrzeug sollte 25 mm dicke, homogene Panzerstahlplatten haben. Das Fahrzeug wurde erfolgreich getestet, aber nie in Dienst gestellt. Die geschrägte Panzerung wurde später für den Versuchspanzer A-20 und den T-34 übernommen. It was available on the Russian Portal in the Russian Gift Box edition as well as in a special Gift Box edition along with the Pz.Kpfw. II Ausf. 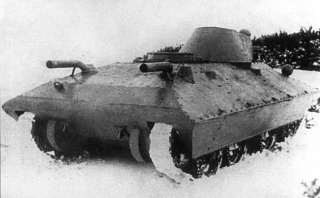 J and SU-85I. The enclosed code was valid for use on the RU, EU, NA and SEA servers. 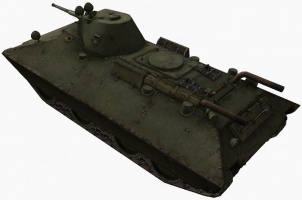 The BT-SV was also made available briefly on the 1st, 6th and 21st of December 2014 in the EU as part of the Advent Calendar as well as the 15th of December 2014 through the 19th of January 2015 on the NA Server. 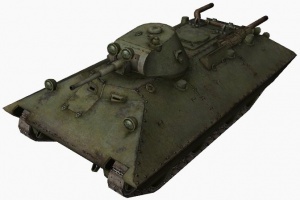 It has popped up a bit more often recently, albeit in 100$ bundles with a enough gold to gold-plate a Maus. Heavily angled armor provides decent protection, when positioned right can be automatic ricochet against all sub-75mm guns. 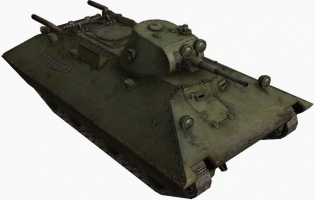 This tank, with regards to the high speed, well-sloped armor, the fact that it never sees Tier 5's on top of the generally poor skills of lower-tier pub match players, this is arguably one of the most fun tanks in the whole game. Thanks to the rocket-like speed, ramming targets as a last resort is a possibility, though it is probably not recommended as you won't survive. 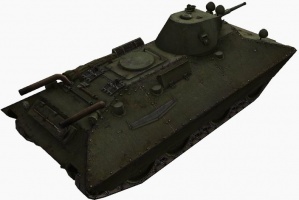 One of the ways this tank is best played is to do a drive-by on a group of enemies, using your combination of excellent speed and sloped armor to survive as you throw shots downrange. Another viable option is to use your speed to get to good positions, allowing you to claim an area before the other team has a chance. The gun itself isn't too bad either, even if it is under par in some areas like depression. While it may have incredible acceleration and top speed, it comes at a price; its turning speed is abysmal. This means you should think ahead so you don't find your tank plummeting off a cliff or straight into another tank.